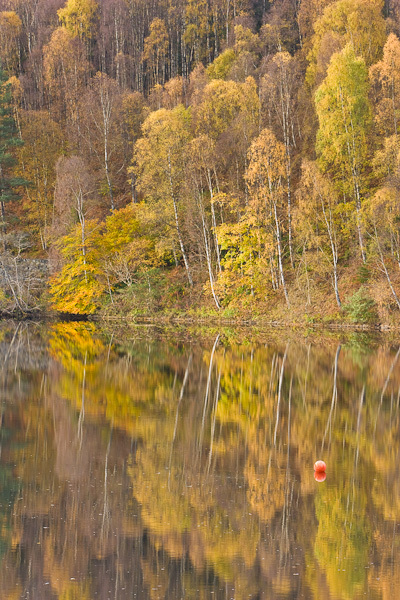 A perfectly calm day helped create these mirror like reflections on this loch. The white bark of the Silver Birch stand out against the background of golden Autumn colours, whereas other types of trees, with darker bark, would tend to blend in. Photo © copyright by Graham Chalmers.